Video Highlights of the CVCA Royals at Louisville Leopards Girls Varsity Lacrosse Game from Monday. Louisville won the Senior Night contest 9-3. 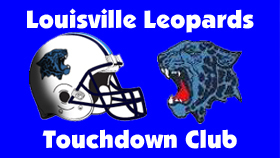 It was the final game played at Louisville Leopards Stadium before turf construction. Katie Hollifield scored a game-high 7 goals to lead Louisville over visiting Boardman 17-0 on Monday. Maddie Kirby also recorded a hat trick and both Mandy Wesely and Kloe Mercorelli scored a pair of goals each. Haley Black scored a game-high 5 goals to lead Louisville to their second straight 16-2 road victory at Lake. Katie Hollifield, Maddie Kirby, Kloe Mercorelli, and Mandy Wesely also scored a pair of goals each for the 7-0 Leopards. Marissa Vick scored a game-high 6 goals to lead Louisville in an 16-2 road win at GlenOak. Katie Hollifield and Mandy Wesely each recorded hat tricks as well for the undefeated Leopards. Katie Hollifield scored a game-high 7 goals and Mandy Wesely added 4 scores as Louisville defeated visiting Kenston 12-5. Marissa Vick also had 4 assists and Kloe Mercorelli scored the other goal for the undefeated Lady Leopards. The Louisville Leopards Girls Varsity Lacrosse Team avenged their only 2017 loss with a 13-6 victory over the Kent Roosevelt Rough Riders Thursday Evening at Louisville Leopards Stadium. With the victory, Louisville remains undefeated at 4-0 on the season. Haley Black and Marissa Vick each scored a game-high 4 goals to lead the Leopards in a 21-0 road win over the Spartans. Katie Hollifield and Mandy Wesely also finished with hat tricks as Louisville improved to 2-0. Kloe Mercorelli finished with a hat trick and tallied a game-high 5 assists to lead the Leopards in a 19-0 shutout over the visiting Golden Eagles in their season opener. Katie Hollifield also recorded a hat trick and Mandy Wesely registered 2 goals and 4 assists.